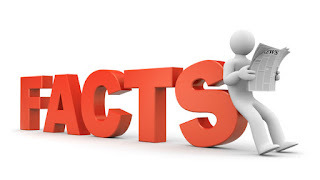 Strange facts you should read and know about. ~ CK Jacob: Nigerian Fiction And Lifestyle Blog. 1. Owls are one of the only birds who can see the colorblue! 2. The average American/Canadian drinks about 600 sodas a year! 3. It was once against the law to slam your car door in a city in Switzerland! 4. There wasn't a single pony in the Pony Express, just horses! 6. During your lifetime, you'll eat about 60,000 pounds of food, that's the weight of about 6 elephants! 7. Some ribbon worms will eat themselves if theycant find any food! 8. Dolphins sleep with one eye open!The worlds oldest piece of chewing gum is over 9000 years old! 9. In space, astronauts cannot cry properly, because there is no gravity, so the tears can't flow down their faces! 10. There are more plastic flamingos in the U.S, than real ones! 11. About 3000 years ago, most Egyptians died by the time they were 30! 12. A sneeze travels out your mouth at over 100 m.p.h.! 13. Your ribs move about 5 million times a year, every time you breathe! 14. In the White House, there are 13,092 knives, forks and spoons! Some amazing facts here, wow! 13+ forks and spoons in whitehouse lolz, who was doing the counting? Carina the digger. I hail oooo.